Guess who got up and went to the gym yesterday? Yep, my 101 Day Challengers know that I wanted to swim twice this week and run a 5k outside. I was happy when I walked by the pool on my way to the locker room that there were three lanes open – woot! And I put on make up and fixed my hair – who am I?! 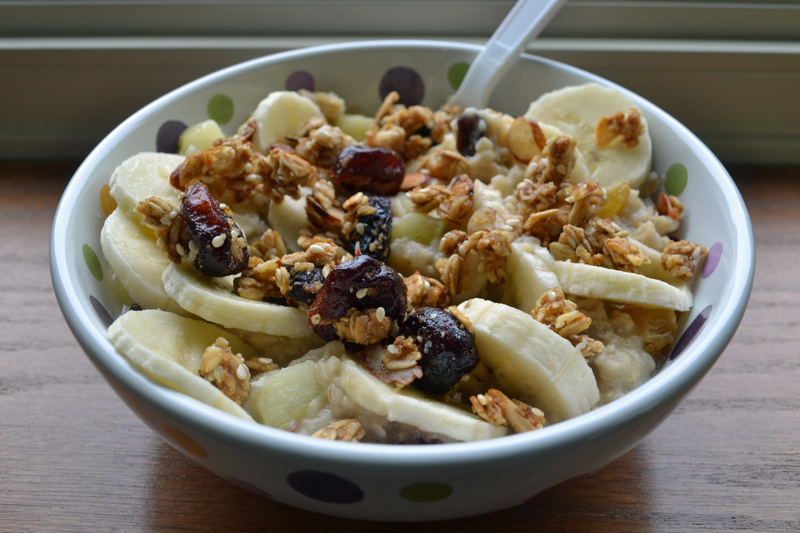 I had my lunch packed in my car in a cooler, but decided I’d pick up McDonald’s oatmeal for breakfast – I accessorized it by adding 1/2 a sliced banana and an ounce of my homemade granola – a delicious, albiet sweet, and filling breakfast for 10 points. 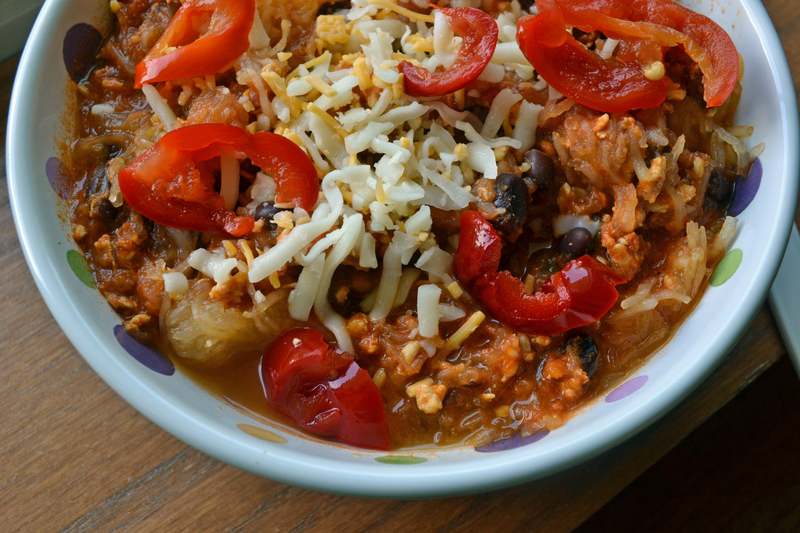 Because the spaghetti squash was kinda watery, it turned out to be kind of like what Rachael Ray calls a stoup – a cross between a soup and a stew – delicious! 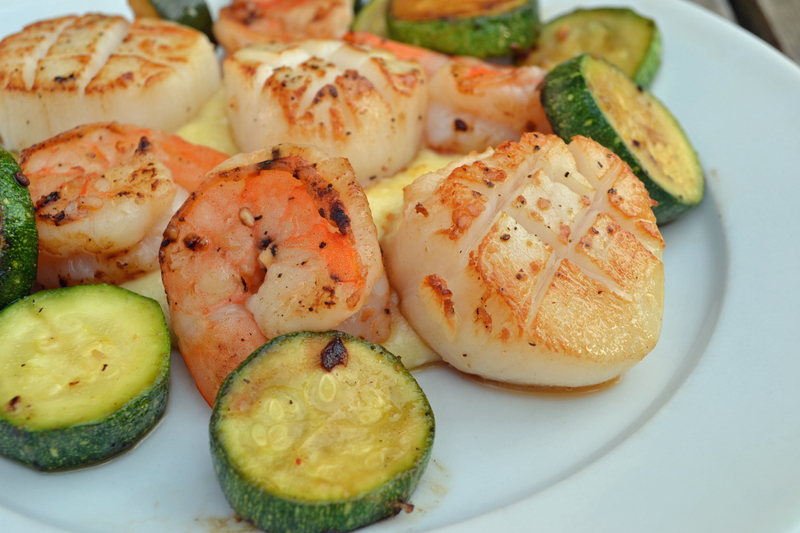 I knew I bought scallops for a reason over the weekend, but for the life of me I couldn’t find the recipe I originally wanted. So I made one up! I knew I had polenta in my pantry – Tony loves it, and while I would have loved a spicy red sauce to go over the top, this was delicious just the way it was. And each serving is only 11 PointsPlus! Pat the shrimp and scallops dry and generously salt and pepper. Bring the 2 cups of water to a boil. While that’s going, heat a small saute pan with Pam and add zucchini – cook for 5 minutes, or until they start to brown. Set aside. When the water boils, add the polenta, stirring constantly for 5 minutes. While its super smooth at this point, when it starts to cool it thickens up. Once you remove the polenta off the heat, stir in the Parmesan cheese, and leave in the pot to keep warm. 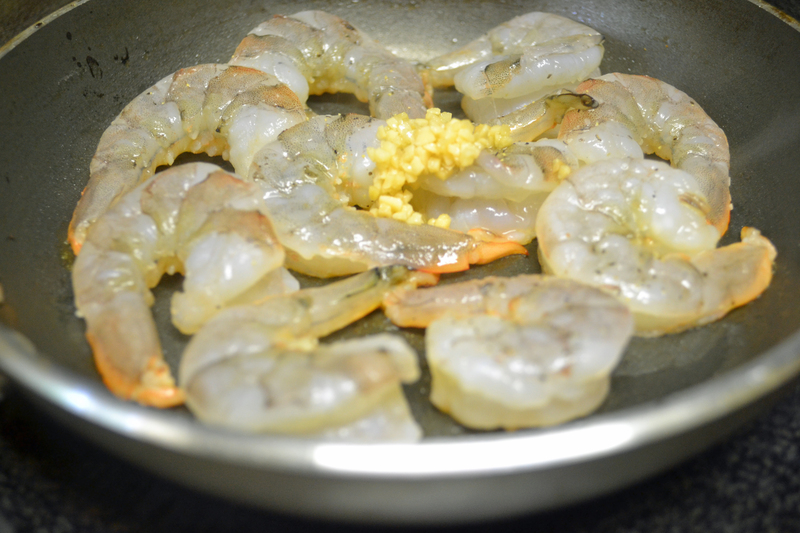 Now bring a skillet to a super high heat – add oil and then sear the shrimp – I put my garlic on top so it doesn’t burn and toss the shrimp after I turn them to coat. These only take about 2-3 minutes to cook – put on a plate and cover to keep warm. 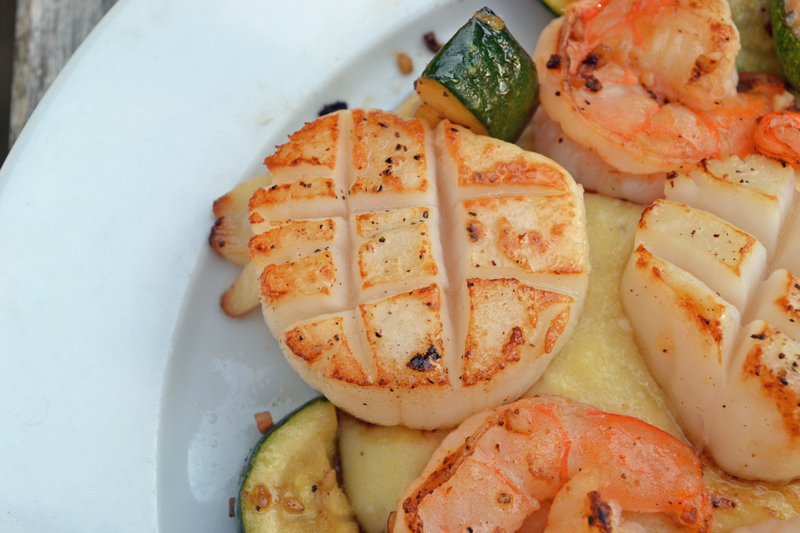 Take a sharp knife and cut the top of one side of the scallops to make hatch marks – add another teaspoon of oil to the pan and put this side down first. Cook 1-2 minutes per side depending on the size of your scallops – I was close to 4 minutes total. 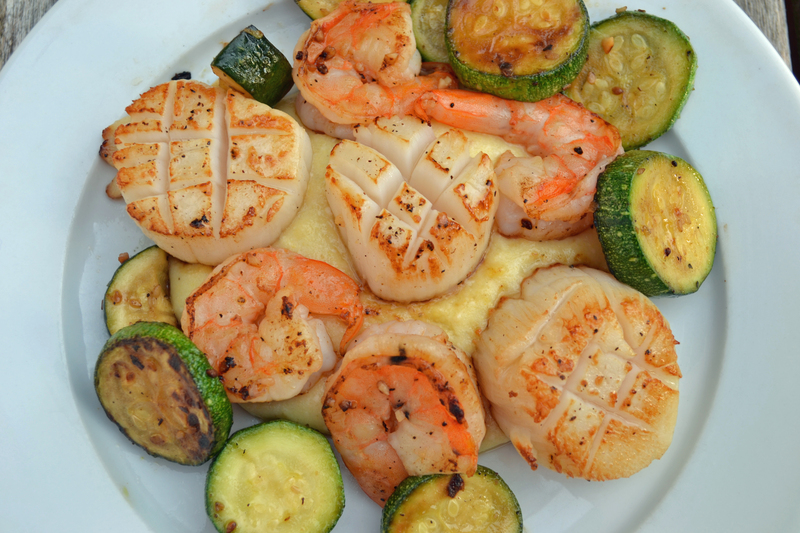 Plate half the polenta on the plate, put scallops and shrimp along the top and add the grilled zucchini. Hopefully that makes sense – can you tell I don’t write recipes much?! 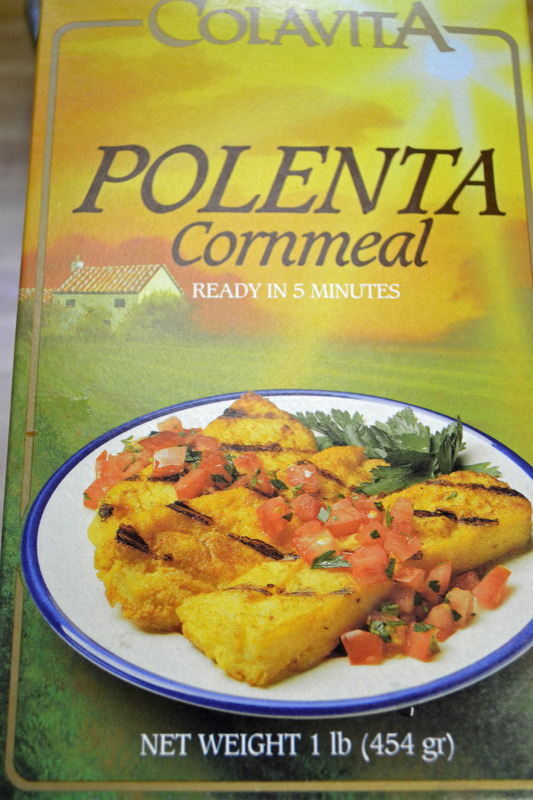 Be sure to use lose polenta, not the premade polenta in a roll in the Italian aisle. 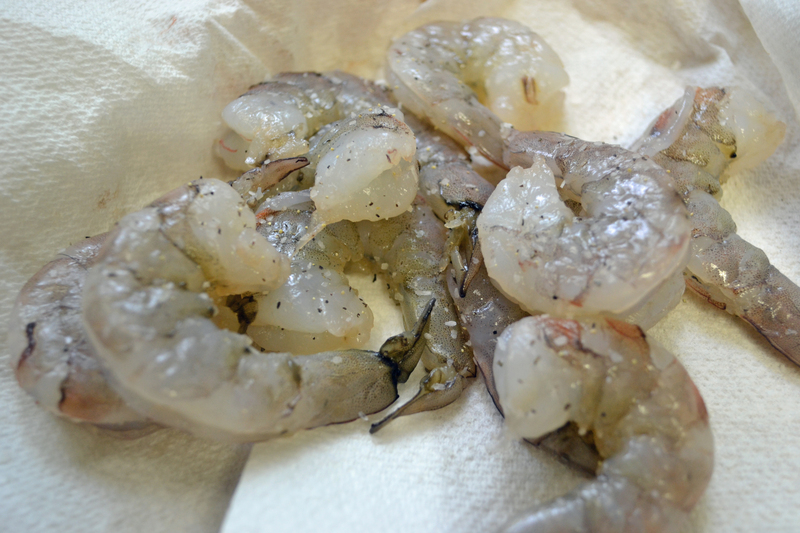 Since the only real seasoning is salt and pepper (and garlic) generously season the shrimp and scallops. Here is the final dish – holy shizz this was tasty! Yep, this one is a keeper! Come back tomorrow for a new blueberry scone recipe – I haven’t figure out the points exactly yet, but I think it will be around 6 points – with the lemon glaze! Make it a great day!